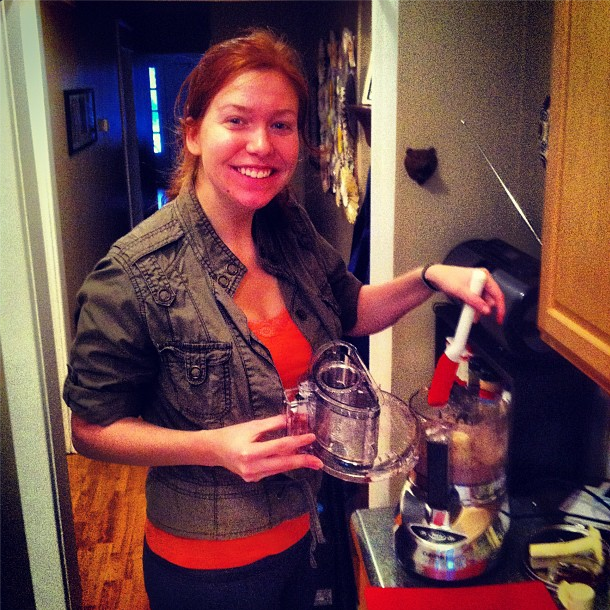 Once a week, my friend Jess and I get together and make dinner. Sometimes, it’s the only day in seven that I spend more than 15 minutes in the kitchen. Other times, it’s the catalyst for a fortnight’s snacks and dinners and desserts. Either way, I enjoy our culinary adventures together like I enjoy working out with a friend – I’m not always 100% certain I want to go through the effort, but I’m always more than ecstatic about the end result. 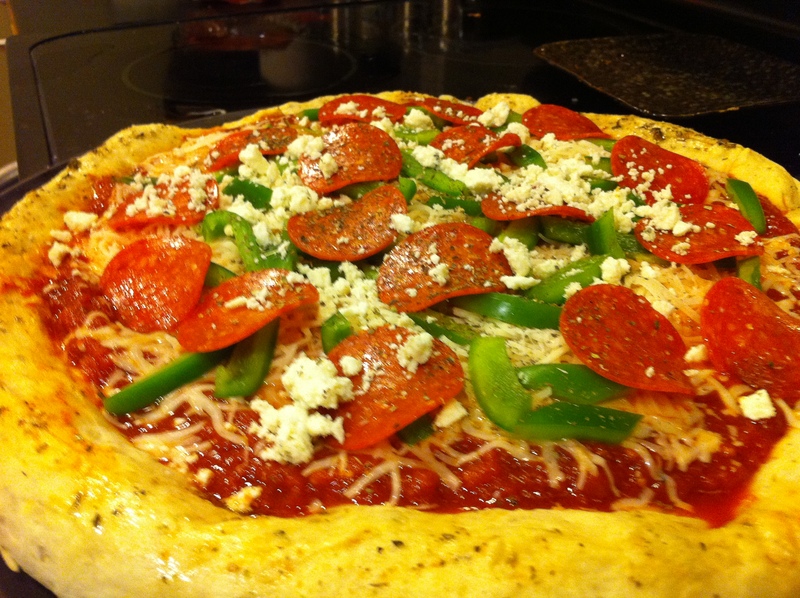 Last night’s menu was quite Italian and quite bold – homemade pizza. 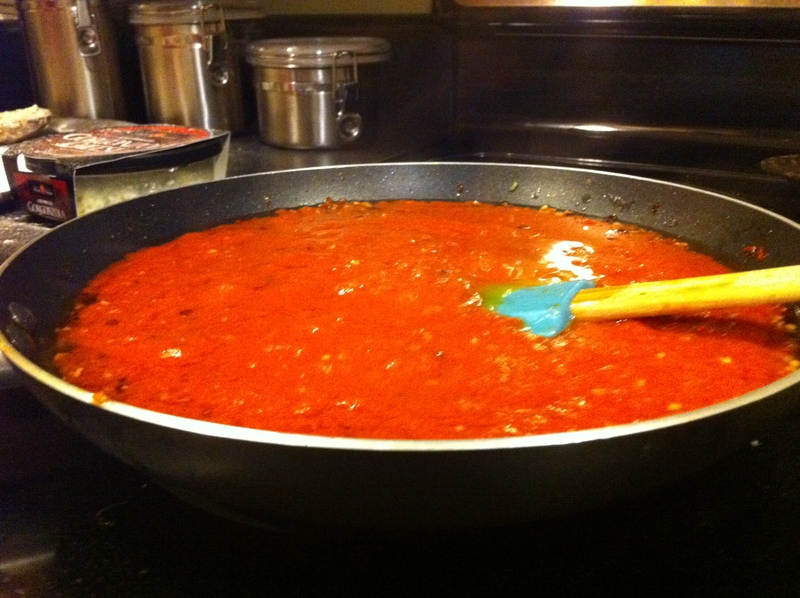 The idea started with a recipe for pizza sauce that a dear friend posted on her blog a long time ago. I wrote it down then and filed it away. Yesterday seemed the perfect time to try it out. 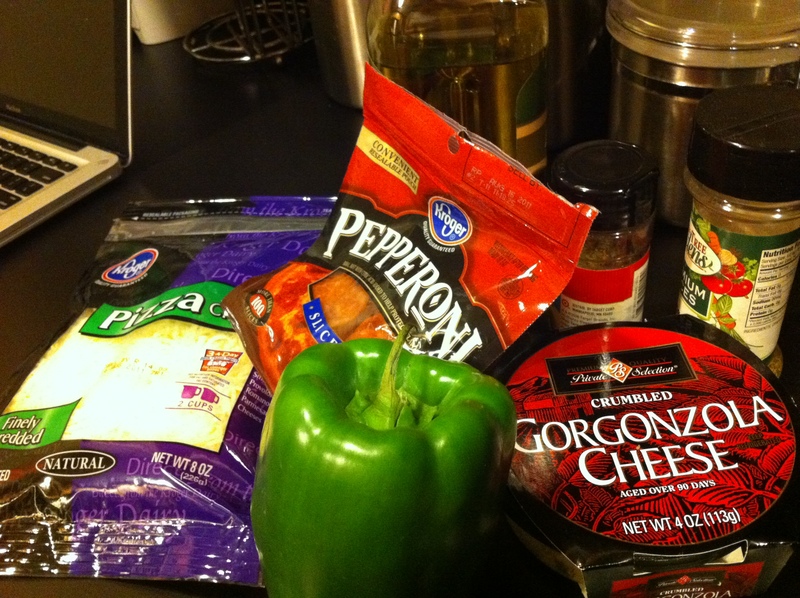 We looked up a pretty straightforward pizza dough recipe and stopped by the grocery to pick out toppings. The rest of the steps are pretty self-explanatory. 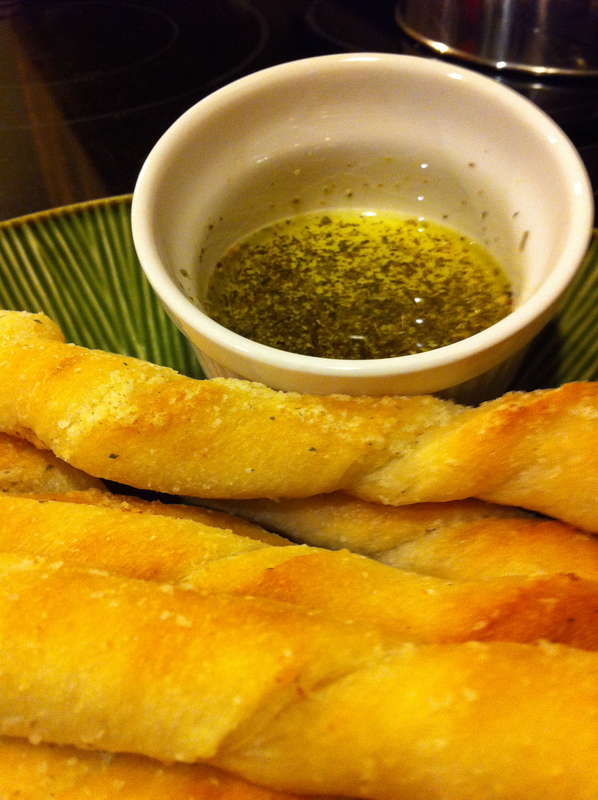 We baked breadsticks as an appetizer, brushing them with a melted butter and garlic salt mixture and serving them with a dish of olive oil and Italian seasoning. 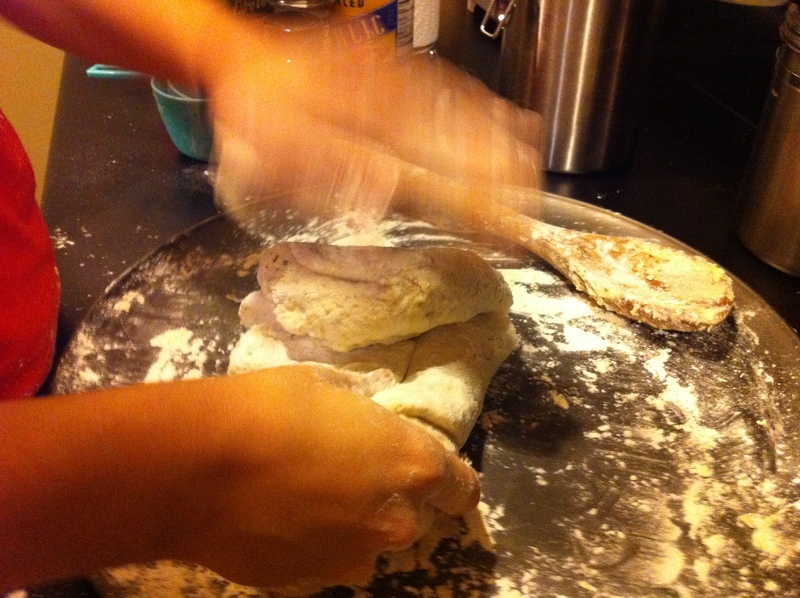 I threw together the sauce and she kneaded the dough. I chopped the peppers and she brushed the crust with oil. Together, we created one killer pizza and ate marvelously. 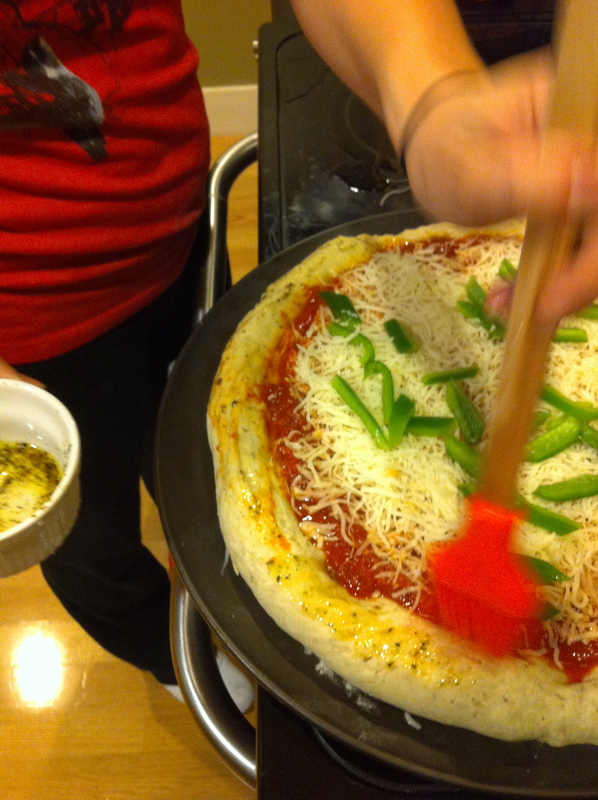 And out of the whole experience, I have one secret: homemade pizza sounds like a lot more difficult than it really is. Trust me and try it yourself! 1. 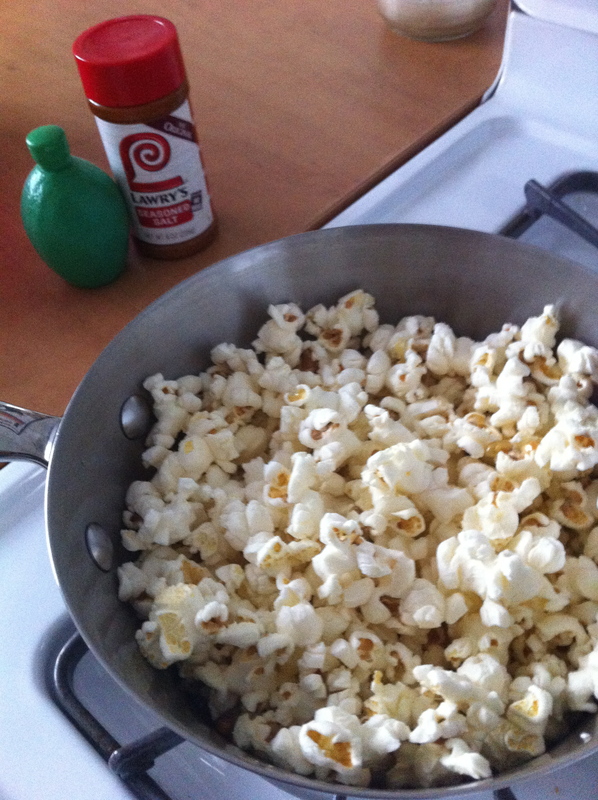 There is something so cozy and antiquated about homemade popcorn. 2. It is SO EASY to make. 3. It saves a lot of money when compared to microwavable popcorn. 4. It’s a lot healthier… more natural, fewer calories, fewer preservatives, etc. 5. You can season it however you like! What You Need: popcorn kernels (they come in a bag or a jar, are extremely inexpensive (like $1.50 for a pound), and can be found in the same section of the grocery store as the microwavable popcorn), olive oil, medium pot with lid (mine’s about two quarts), seasoned salt, and the juice from half a lime (lime juice in a bottle works just fine too). 1. On a stovetop, pour a bit of olive oil into the medium pot – just enough to cover the bottom. Heat the pot on medium high for 2-3 minutes without covering. The oil should not pop or sizzle at this point. 2. 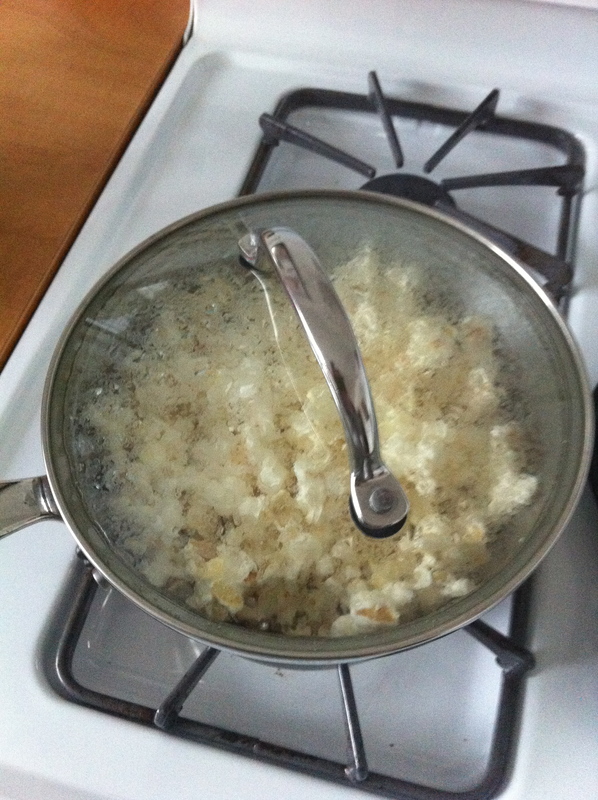 Next, pour the popcorn kernels into the pot, again just one layer… enough to cover the bottom of the pot. Turn the heat down to medium or a little hotter, and cover. 3. 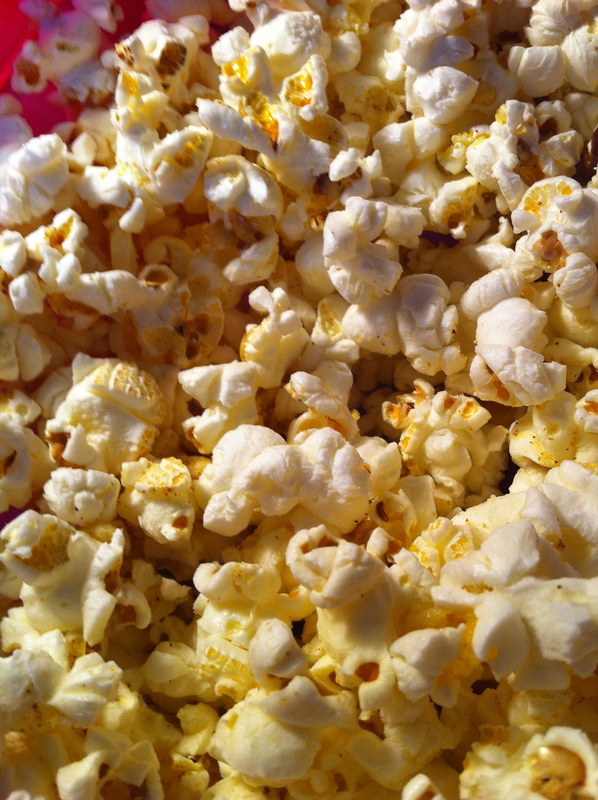 Watch the popcorn pop (it happens so quickly… if you walk away even for a moment, you risk burning the popcorn). When there are 2-3 seconds between pops, remove from heat. 4. Wait a few moments before uncovering (for possible late pops). Then pour the popcorn from the pot into a bowl. Sprinkle with seasoned salt and spritz with lime juice. Toss a bit to spread the seasoning. Enjoy! 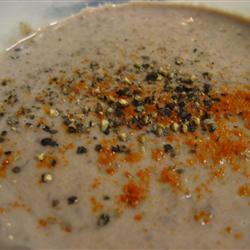 I recommend trying other seasoning combinations like garlic salt and lemon or even gorgonzola and pepper. Make up your own… I really don’t think you can go wrong here. Get fancy!